CASTLE is the nation’s only center dedicated to the technology needs of school administrators. We are an official center of UCEA proudly hosted at the University of Kentucky, Department of Educational Leadership Studies. We have four faculty directors and a variety of other folks that work for or with us. The best compliment we have ever received, from the Provost of UK, is that “you guys are dangerous” (right before investing nearly a quarter-million dollars in one of our projects). That is the short and simple version. The long version of our story is not all that more complex, it just involves a lot more moving parts because we like to do a lot of different things. 1. Research: A large percentage of all the research on the topic of school technology leadership has come from CASTLE or related projects. Lead by our research guru Dr. Jayson Richardson, CASTLEpublishes several peer-reviewed studies, book chapters, policy papers, and other formal research every year. 2. Teaching: We developed and support the world’s only graduate degrees focused specifically and deeply on School Technology Leadership, housed in the Department of Education Leadership at UK. We offer a Graduate Certificate, a Masters or Ed.S., and a Ph.D. in Education Sciences. We also host visiting scholars, infuse technology leadership into other leadership programs, and work with other universities to build their courses and programs. 3. Professional Development: We regularly provide professional development all over the world. 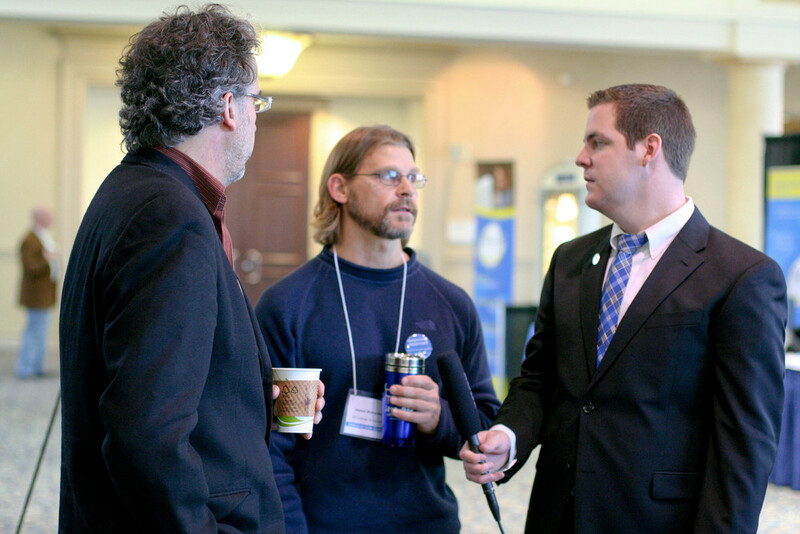 Fromsmall onsite PD’s in a school to hosting very large conferences, we cover a lot of ground. As part of this work, we partner with many other organizations both academic and professional. Frequently, some of our directors are asked to speak at large events. We welcome all inquiries, small or big. 4. Service: We like to help people. We like to be part of local, state, and national conversations. We like to give things away for free. When we do these things, our employer calls it service. So, we do too. 5. Networking: We have published a highly popular series of YouTube videos, Did You Know. We have an extremely robust blogging network. We are highly active on twitter and just about everything else. Whether it is new blog posts we write or just linking new ideas and people together, CASTLEserves as the backbone to a network of individuals trying to build better schools through technology leadership all over the globe. 5. Spin-Off Projects: CASTLE is an incubator for other ideas that emerge from our work and/or for existing ideas that simply want to exist in the same realm as our work. Heck, even our directors all have their own spin-off or related projects. This includes the dLab, ICT4D, edmatics, and a host of others. 6. General Rousing of Rabble. We are not happy with where our schools are at right now. Neither are most of the other folks that like to hang out with us. Collectively, we choose to approach changing them in a number of ways, everything from hacking together new learning systems to writing editorials to under-the-radar rebuilds of physical spaces. There is a big job to be done (prepping our students and schools for the digital, global age), so we are usually more interested in results than methods. Ultimately, CASTLE just represents a bunch of people looking to make a difference for our future in ways that involve leaders, technology, and schools. If that is something that interests you or you have any specific requests, please get in touch. We would love to hear from you.